Turner has renewed its carriage deal with UK cabler Virgin Media, adding a raft of on-demand content to the roster of linear nets. 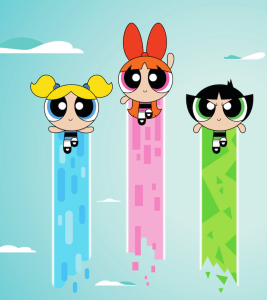 Liberty Global-owned Virgin has secured Turner channels including Cartoon Network (Powerpuff Girls), Boomerang, Cartoonito, TCM and CNN International and the Cartoon Network HD net has been added to the line-up for the first time to Virgin’s Irish customers. Many of the shows on the Turner channels will be added to Virgin’s catch-up service, meaning it will be available to Virgin’s TV subs for 30 days after its initial transmission. The box-set content available on catch-up includes kids series Regular Show, Ben 10, The Powerpuff Girls, Scooby Doo, Mr Bean, The Tom and Jerry Show and Fireman Sam. Virgin said the new deal also guarantees it rights to “support Virgin Media’s future product launches”, which it told TBI meant it had rights for new functionality that will be added to its set top box releases. Ian McDonough, senior VP and managing director, Turner, Northern Europe added: “We’re very excited about strengthening our much valued partnership with Virgin Media, built around our premium kids and entertainment brands.